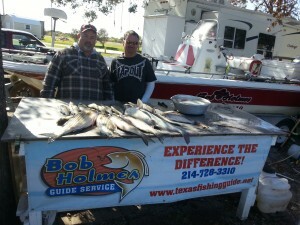 Richland Chambers Lake Fishing Guide Bob Holmes hooks up. 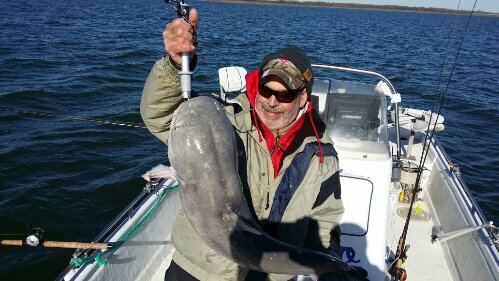 This entry was posted in Uncategorized and tagged Richland Chambers Lake Fishing Guide, trophy catfish on January 15, 2014 by bobholmes. This entry was posted in Uncategorized on January 13, 2014 by bobholmes. This entry was posted in Photos on November 22, 2013 by bobholmes. 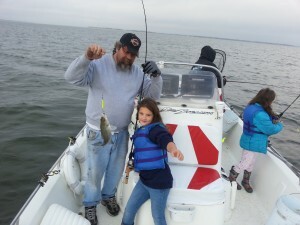 John Wagner with his family showing the grandkids how it’s done ! This entry was posted in Photos on November 17, 2013 by bobholmes. Catching a little of everything. This entry was posted in Photos on November 9, 2013 by bobholmes. 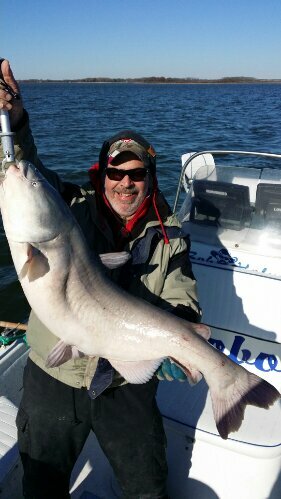 Cool front pretty well shut the fishing down but these boys hung in there for 12 nice blue cat and 17 sandbass and had a blast all morning! This entry was posted in Photos on November 3, 2013 by bobholmes. 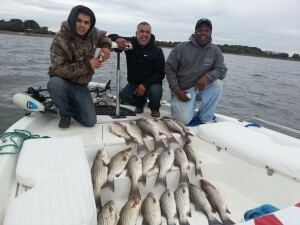 Nick Crowley and family on there annual fishing trip. This entry was posted in Photos on October 29, 2013 by bobholmes. Dad taught her right Karla never backed up. Guarantee they have a fish fry really soon! 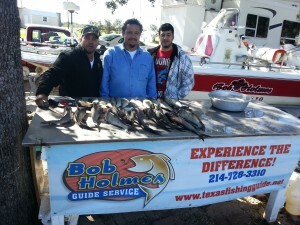 This entry was posted in Photos on October 28, 2013 by bobholmes. New customers Bruce and Marlene thank lake Richland chambers is the GREATEST! !! 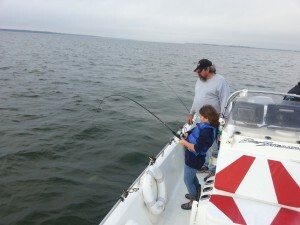 Two pretty cool people and really good fishermen. 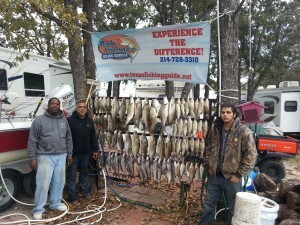 We had a blast all morning catching all these Big Ol Fish !! Hybrids and Blue Cat. OBOY!! Hybrids on sassy shad . 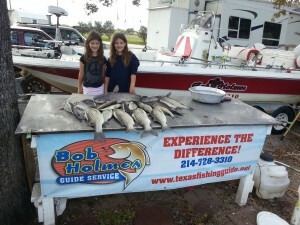 This entry was posted in Photos on October 27, 2013 by bobholmes.